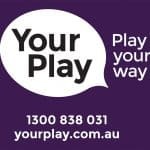 The Kerang Sports and Entertainment Venue is committed to providing the highest standards of customer care and responsible gambling. Our Responsible Gambling Code of Conduct describes how we do this. Join as a Club member today for just $10.00 and be part of our great loyalty program. That's right, Easter is only just around the corner, which means our Tournament is on again! From the 19th of April until the 24th of April we will be hosting 6 days of bowls on our tremendous greens.